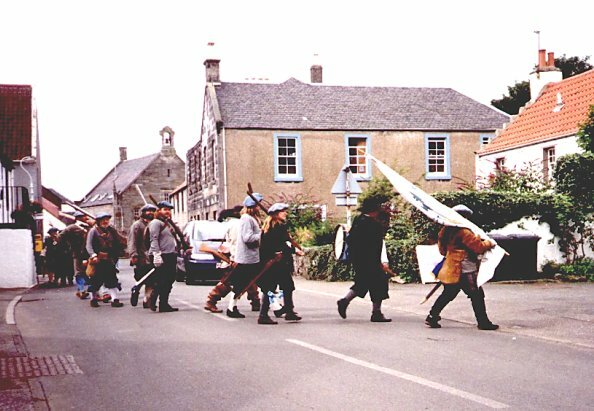 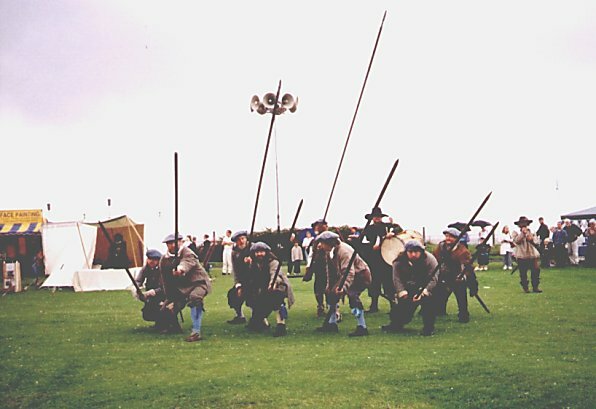 Sunday August 5th 2001 saw a small detachment of Loudouns Regiment of Foote descend upon the small town of Culross on the northern banks of the Firth of Forth. 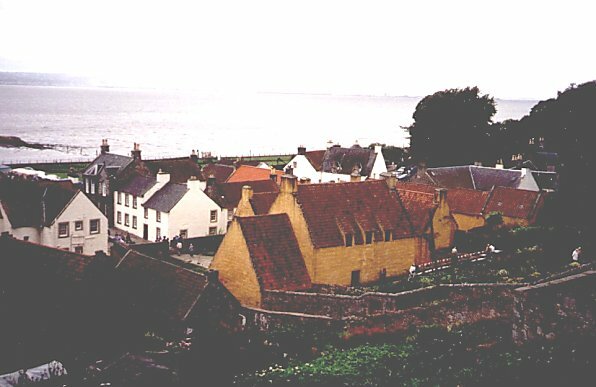 Culross, a town stuck in the seventeenth century through the preservation of the Scottish National Trust, was celebrating its annual summer fayre and had invited the 17th C. re-enacting regiment of the Earl of Loudoun to demonstrate Scots military life during the civil wars in England and Scotland between 1642 and 1651. 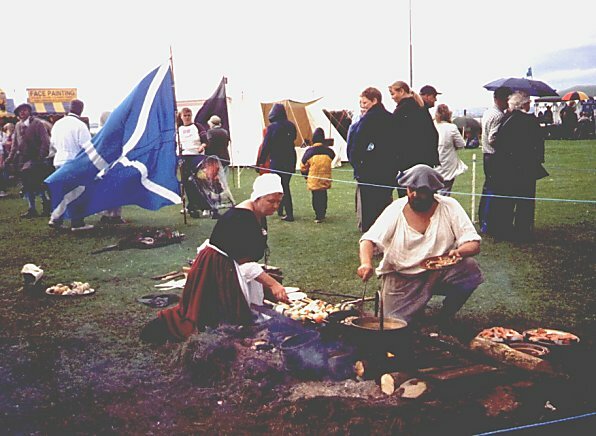 The photographs go someway to demonstrate that Scotland was at the ready and on the march, come what may, to protect itself from any invading enemy from across the border.